SONGBIRD (born Joseph Ryan Moralez, January 5, 1983) is an American singer-songwriter, producer, and artist currently residing in Los Angeles, California. His most successful songs have been featured around the world through various commercial licensing campaigns and have garnered over a million streams on various music streaming platforms. His lyrics incorporate a broad range of political, social and philosophical influences while centering most of his work around self-empowerment and love. Originally inspired by artists such as The Beatles, Micheal Jackson, Sufjan Stevens, Toad the Wet Sprocket and Pete Yorn, Moralez has managed to find his own sound over the years while experimenting with different styles in the folk, singer-songwriter, electronic, EDM, and pop genres. He is most notable for the texture and high range of his voice, which has been often described as “angelic” and “soothing” by listeners. 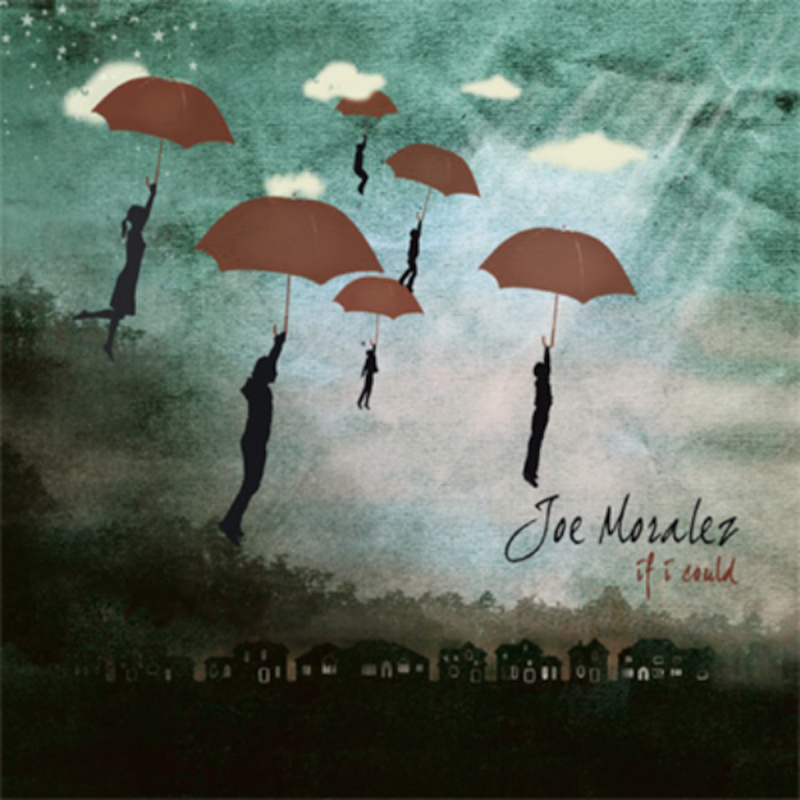 Moralez has been releasing music independently since 2009 starting with his debut album, If I Could, under the nickname “Joe Moralez” followed by his most successful 2012 release, The Way It Goes. In 2013, Moralez released his first “official” side project EP, A Million Years, under the indie-pop moniker, Awake or Sleeping (AoS). Since 2013, Awake or Sleeping has released 6 EPs, Constellations (2014), Interstellar Hearts (2015), Lost at Sea (2016), Imagination (2016), Owls in the Night (2018) and one single, Falling (2017). In 2009, Moralez released his first full length album, If I Could, which was recorded over a four month period at producer Jon Meyer's studio in Dallas, Texas. The opening track "Take Me To California" caught the attention of Grammy Award winning producer, Charlie Peacock (The Civil Wars) who eventually remixed the song alongside producer and engineer, Richie Biggs. Over the next several years Moralez continued touring as a side player but focused the majority of his off time writing what would become his most successful album to date, The Way It Goes. Recorded from the basement of producer Jacob Schrodt's home studio, the two worked for several months on the album while securing some of Nashville’s top session players to record on the project. Halfway through production, Moralez quickly realized he had spent his entire savings to make this record so he decided to start a Kickstarter campaign to see if his fanbase would help fund the entire album. Much to his surprise, 125 backers exceeded the $15,000 goal and successfully raised $17,127. On April 1, 2014, Moralez packed his things in Oak Cliff in Dallas and made his way out west to Los Angeles with his dog Maddie. Shortly after his arrival, Moralez partnered with friend Ian McNeny to form ElfTree Podcast Network (EPN), eventually registering their business in 2015 with the City of Los Angeles under the name, ElfTree Media. Elf Tree Podcast Network comprised of three main shows, High-Dere, 3Amoviegos, and Earthship Radio, all hosted by Moralez, McNeny and a few others. EPN has since produced over 120 hours of casual conversation covering a wide range of subjects. “Prepare to enter the ElfTree” is the networks well known tagline at the top of each episode, voiced by actor, Dylan Roarke. During this time, Moralez continued composing music and sound design for many independent short films, web series and podcasts. He also started working on set as a sound engineer while working post production on several projects. Since late 2016, Moralez continued writing with good friend, Paul Evans, on what will be his newest pop venture, SONGBIRD, who’s first single is due out Fall 2018. Recorded at Paper Walls Studio in Dallas, Texas. "Take Me To California" remixed and mastered by Charlie Peacock (Civil Wars) and Richie Biggs. Recorded at fifty50studios in Dallas, Tx. Additional recording by Joe Moralez at ElfTree Studios in Dallas, Tx. Drums recorded at Pie Studios in Pasadena, Ca.